I read the Ezgo thread about snow plows and thought I might drop my idea hear for maybe more to see as well as others ideas. Idea came from my Grandads old wheelhorse. 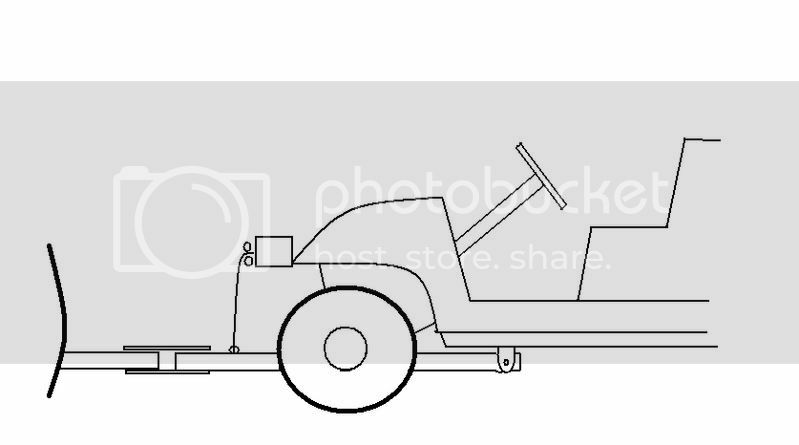 Good drawing...that is about the way mine mounted on my old ford tractor. I'm at work and bored. If your plowing snow out of the way to clear a sidewalk or driveway, how much clearance do you need?